Heat the flour and nutritional yeast in the oil until it begins to brown. Whisk in the soymilk, leaving no lumps. Then whisk in the soy sauce, poultry seasoning, onion powder, garlic powder, and black pepper. Continue to heat until the mixture thickens and begins to boil. Remove from heat, let cool and enjoy! Years ago, this recipe appeared on the Tofurky Roast boxes. Lua decided to give it a try and was thrilled to find out how easy it is to make gravy from scratch. 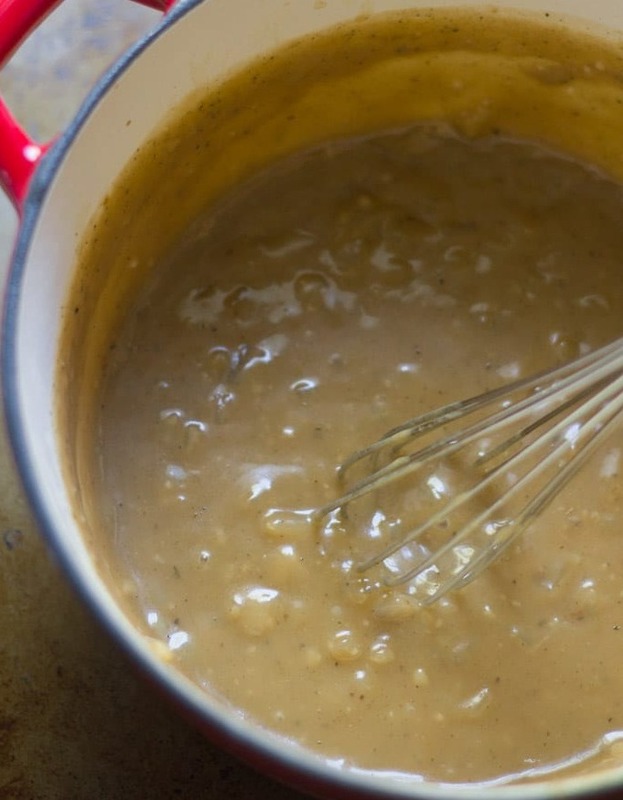 It makes plenty to pour over your Tofurky, mashed potatoes and anything else you want to smother in gravy!